Only One Woman has a dedicated Blog now. Leaving on a Jet Plane: well, providing he has a Passport. Another fab interview with another contributor to our fab Ghostly Writes Anthology, Love from the Other Side. I enjoy reading about the story behind the stories in this fab collection and about the authors. Great stuff Lynn Mullican. Today I’m introducing you to multi talented author, editor and graphic artist Lynn Mullican. Lynn has published several short stories in our anthologies and last year she made the book cover for our main Halloween Anthology. It is great. Here is her interview. Hi, I’m Lynn Mullican. I’ve worked in Research and Statistics under the Bureau of Labor Statistics federal program for twelve years. I’ve been married to the love of my life for 30 years. I have three adult children, five grandchildren, and two furry kids (cats), which I’ve nicknamed, my boys. I enjoy dancing, reading, martial arts, archery, camping, hiking, and spending time with my family and friends. Made It Moment – Suspense Your Disbelief. Privacy Notice for Users and Visitors here. The Writers Newsletter June 2017 Issue. Caroline Munro with Madam Movara's Tales of Terror. Signed publishing contract with Accent Press Ltd for my short stories and all my future books. 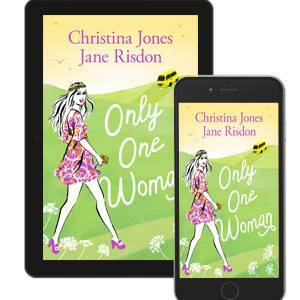 Only One Woman will be in Waterstones, good Indie book stores and libraries as well as on digital media. In aid of The Norfolk Hospice. Check out my stories The Debt Collector and The Ghost in the Privy. My Short Story, A Walk To Destiny is published on Short Story Saturday by Morgen Bailey 24th Nov. 2012. Do visit her blog and check it out. I will be answering questions about my work here on 20th November and nominating 5 authors I think will be The Next Big Thing...pop in and see what is happening here 20th Nov 2012. Nov 30th my 2nd Flash Fiction story, The Honey Trap will be published on Morgen Bailey's Blog with a Pod Cast on March 24th 2013. Merry Christmas Everybody by Jane Risdon featured in Wishing on A Star. My story The Haunting of Anne Chambers is published in the Horror collection Shiver, published by Accent Press Ltd. 9th Oct 2014. 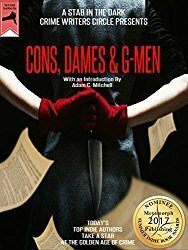 If you love pirates and ghost stories check this one out.